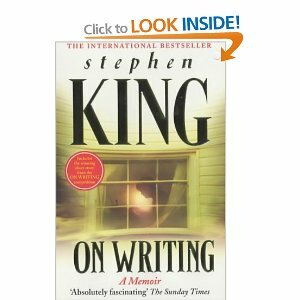 On Writing by Stephen King Inspiring and full of good advice. From Pitch to Publication by Carole Blake Invaluable guide to getting published from an experience agent. The Right to Write by Julia Cameron One of the best books about being a writer and living a writer’s life I’ve ever found. Succinct, direct and truthful, a book I come back to over and over again if I’m in need of a little writerly pick me up. Write Away by Elizabeth George Excellent if you want to write crime. See Jane Write by Sarah Mlynowski and Farrin Jacobs Tips on writing fiction for a female audience – American book – useful if you are interested in writing popular fiction. Writing for Success by Patricia O’Reilly Sensible advice with a useful Irish slant. Write a Book in a Year by Jacinta McDevitt Another great Irish book – I think it’s out of print, but you might find a copy in the library. How Not to Write a Novel by Howard Mittelmark and Sandra Newman Funny, light humored book about how to avoid common writing pitfalls. The Forest for the Trees: An Editor’s Advice to Writers by Betsy Lerner (American) A fascinating book described as ‘a riveting safari through the wilds of a writer’s brain.’ Ever wondered what exactly editors think about when faced with a manuscript, then this is the book for you! Bird by Bird by Anne Lamott More memoir than writing guide, but very entertaining. Writing Down the Bones by Natalie Goldberg How to ‘free the writer within’. Some interesting thoughts and ideas about writing.